Passion Fruit, Orange and Guava are the flavors that make this tropical dessert so great. Carole one of our long time customers asked us if we could make this dessert for her. She and her husband travel to Hawaii every year and have a drink they love called POG hence the name for the dessert. It has all the flavors we have incorporated into this FABULOUS dessert. Carole says that it could be prepared with either a shortbread crust or coconut macaroon so we are going to let you decide which you would like. >b>We are "only" stocking the dessert with the shortbread crust. If you would like the macaroon it will be a 1 week lead time. This dessert is a combination of layer one being a white chocolate passion fruit silk, layer 2 a white chocolate orange silk and the top layer is a combination of the guava, orange and passion fruit. 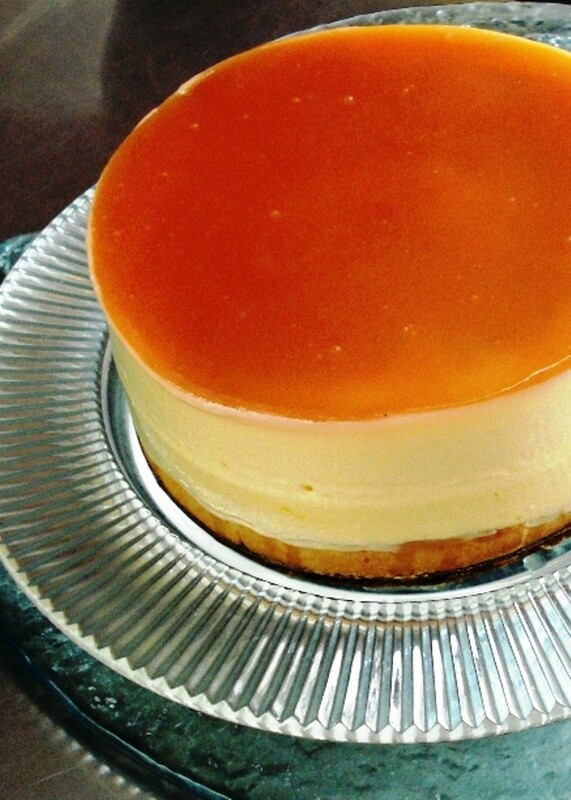 It is then glazed with a guava glaze which is sent to you in a separate container with instructions for you to place the glaze on the top of the dessert before serving....Carole says....bon appetit to all of you.